Peter Lovenkrands | NUFC Blog. Archive for category: Peter Lovenkrands. 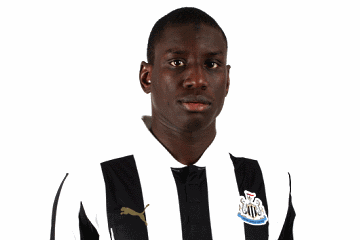 Demba Ba: Newcastle United’s hottest hitman in recent times. Below is a table comparing the main statistics of all of Newcastle United’s main strikers who have played in the Hughton / Pardew years. There are six, Shola Ameobi, Peter Lovenkrands, Andy Carroll, Leon Best, Demba Ba and most recently of course, Papiss Cisse. Please note that this is for Premier League games only. Championship stats have been excluded as they would obviously give the players who played a full season in the lower division an unfair advantage. As well as that, cup games have also been escluded too to make as level a playing field as possible (if you’ll pardon the pun). I think you might find one or two surprises in there, which was partly the reason I did this post in the first place. How was Newcastle United’s transfer window for you? Let us know! 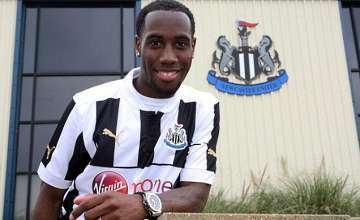 Little Vurn: NUFC's "marquee" signing in this window. As you no doubt know only too well, the Summer transfer window ended at 11pm on Friday evening. But are you happy, or not, overall, with the comings and goings at the club? Reviewing the ingoings and outgoings at Newcastle United during this particular window (see table below), nine players have left the club and four have come in. I have included Ryan Donaldson and Phil Airey in the nine outgoings as they both enjoyed at least one or two outings for the first team in the past, though I have omitted several other Academy players who were released by the club in the infamous “night of the long knives” at the Benton Academy, when at least seven young prospects were axed in one go, plus the slightly older Kadar. 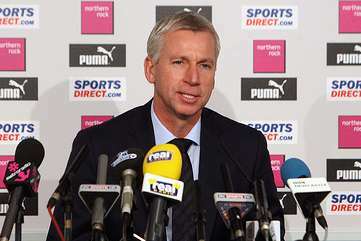 Pardew: The silly season intrigue continues! Newcastle United’s Silver Supremo, Alan Pardew, played down transfer fever at the club, saying that he doesn’t expect too many players to be coming in during this transfer window. “I don’t envisage too many coming in. “We have a lot of young players here who haven’t played much football. “People like Mehdi Abeid and Haris Vuckic. 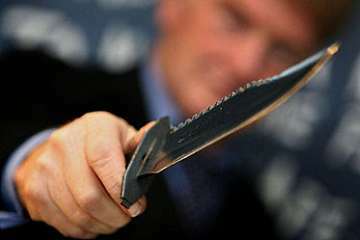 The night of the long knives at SJP. Newcastle United announced their list of retained players (players who’s contracts have expired but are being renewed) earlier this evening. Of course though, these lists are usually at least as notable for the players are being released as much as those who are being returned. Firstly, the once seemingly never ending saga which was Alan Smith at Newcastle United is finally over. The player who admitted that he would “never be the same player again” even before he signed a £50,000+ per week 5 year contract for Newcastle after (not quite) recovering from a horrific leg break is finally an ex-Newcastle United player.